A few days of sunshine, and the garden is coming to life again. Everything seems to have survived under the snow, including the snowdrops. 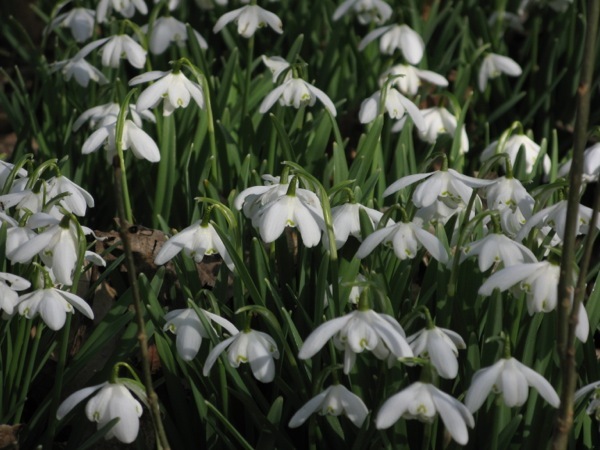 I love these pretty little white flowers, because they are the first sign that spring is on the way. Snowdrops are the inspiration for this slightly abstract design. 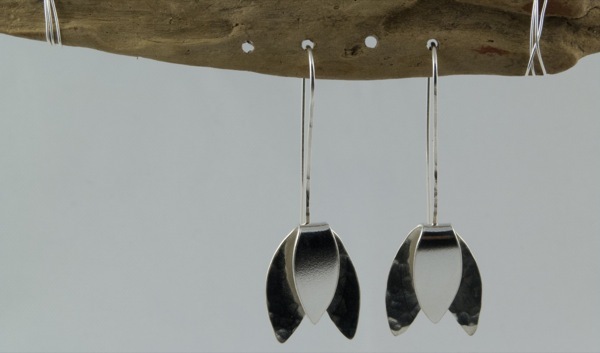 The inner surface of the silver earrings is hammered, whilst the outer ‘petal’ has a polished finish. The silver wires are lightly textured on the front edge.